United Way of Greater Nashua is seeking an experienced Volunteer Grant Writer to conduct research into grants and other funding opportunities. The Volunteer Grant Writer will be asked to write, edit, and coordinate the submission of letters of inquiry and grant proposals to foundations, corporate, and governmental financial contributors. The grant writer will also develop a calendar to track grant and reporting deadlines. Tasks will include assisting in the collection and organization of data to support effective communication of United Way of Greater Nashua's outcomes to its contributors. United Way fights for the health, education, and financial stability of every person in our community. We do so by mobilizing the caring power of our communities and investing in the greatest needs. Your skills can help us raise the funds needed to support local causes and make a difference in Greater Nashua. When you volunteer with United Way, you’re joining 2.9 million people who are giving back so others can get ahead. Make a mark in your own backyard-join our global community of game changers today. 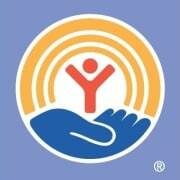 The Volunteer Grant Writer will be asked to devote a few hours a week to researching and writing grants for United Way of Greater Nashua.